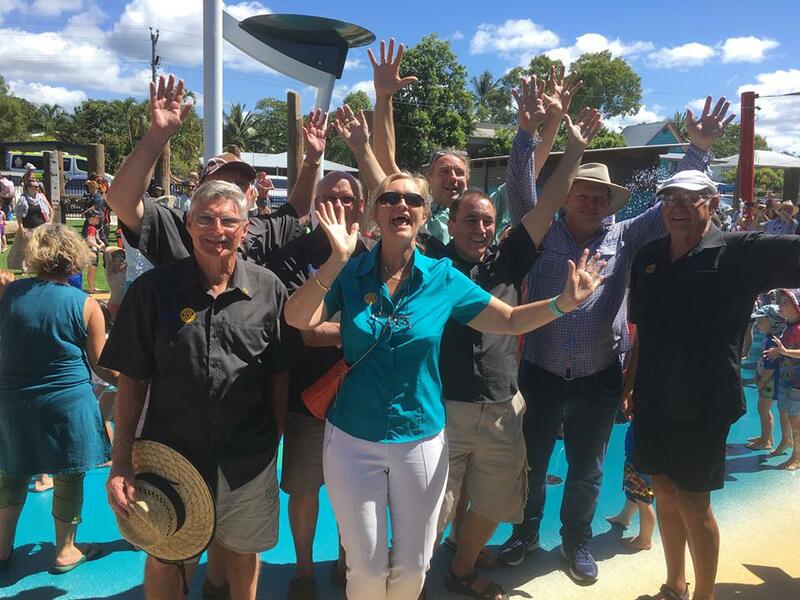 Over 500 people attended the official opening of Rotary Mission Beach's major project: "Splash n Dunk". Master of Ceremonies, local builder, Steve Chilcott gave a heartwarming speech of thanks to Project Manager Tom Brown and all Rotarians involved in the project before Tom hit the button! Splash n Dunk is open from 8am - 8pm daily. The Splash Pad at Wongaling will be finished in a few short weeks and we need your help in choosing a name. There's a $150 cash prize for the winning entry. Full details are below. A new display sign has been erected beside the Mission Beach Police Station on Tully-Mission Beach Road. This sign is to be used to display crime prevention, road safety and community based messages. This project was instigated by Sgt Troy Nowitzki, the Officer in Charge of Mission Beach Police using the proceeds from the Mission Beach Police Sheriffs fund, and support from Mission Beach Rotary. The Sheriffs fund raised money for this sign from the Trivia Nights that have been held at the Mission Beach Resort. The next Trivia night is being organised for Saturday the 21st of October 2017, and monies raised will be used for other community and crime prevention projects organised by Sgt Troy and Mission Beach Rotary. Rotary Mission Beach have recently made several donations to organisations within the local area. 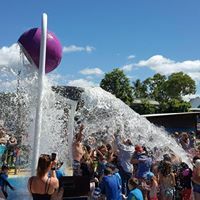 After the Monster Markets last Sunday, a donation of $350 was made to the Mission Beach Cyclones (AFL football club) from funds raised at the market. And another $350 donation was made to the Mission Beach Ambulance Officers to help with the purchase of their new Defribulator. A donation of $1500 was made from the 'Sheriffs Fund' (a fund set up by Mission Beach Police & Mission Beach Rotary) to purchase three security cameras which will be available for loan to persons experiencing problems at their properties. (Contact Mission Beach for more details). A further donation of $230 has been made from the Sheriffs Fund after a request by the Tully Police to purchase a White Board which will be placed in the shed at the bottom of the Mt Tyson walking track so hikers can leave their departure and ETA details before setting off on their hikes. This will assist in any rescue events that might be required. Mission Beach Markets were held this morning in the park near the beach at North Mission Beach. It was a great morning, sunny and very busy with lots of visitors enjoying the sunshine and the many varied stalls. The Markets were enjoyed by both stallholders and the visitors. Another Container to East Timor! 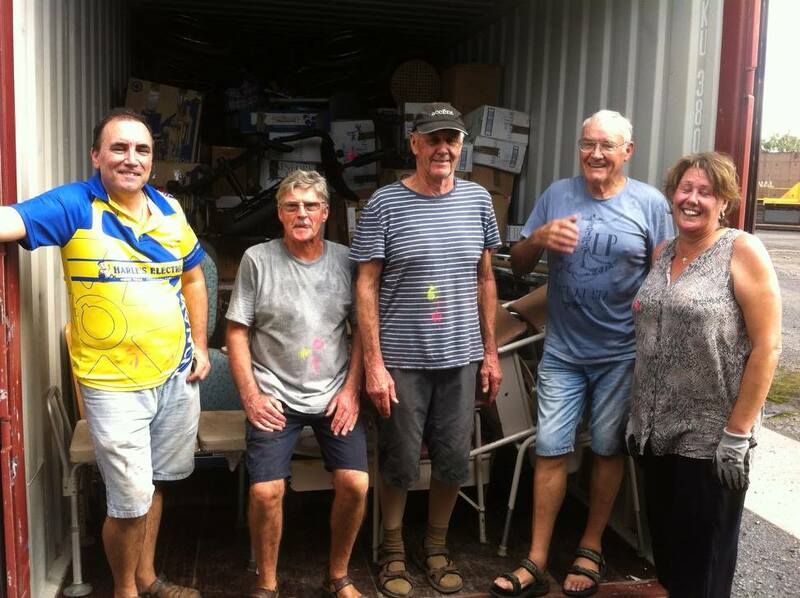 Rotary volunteers have spent the day unpacking and re-locating donated goods into a sea-worthy shipping container! Local Mission Beach resident Susanna Pearson has been busy collecting items to be shipped to Education House in East Timor. The goods have been stored at Mission beach and today were transported to Innisfail and packed into the container. Thank you to everyone involved in helping this project take one step closer to delivery!